Aaaaaah that’s more like it. Waking up to a smooth sea and bright sun beaming through the cabin window was much more akin to what we ordered. Sam was feeling chipper and not at all nauseous (he was rubbing his ear beads every so often just to be sure) and Trevor seemed to finally have woken up. Today was a sea day and the first chance we had to actually all relax together and work on our tans. Once we had finished breakfast we wandered out to find some sunbeds to make camp for the day. Yeah, easier said than done. Once again we spent ages wandering round and round and round and round, initially trying to find four beds together, deciding to settle on two and eventually begging for a small piece of floor where we could lay our towels. There were signs up everywhere telling us not to reserve beds or our stuff would be removed after 30 minutes but every bed was taken. Finally we found one bed on the top deck partially in the shade and leapt on it. Glen wandered off and after a short while came back with another bed which he set up next to the one five of us were sharing. We sorted ourselves out as best we could and commenced the serious business of tanning. I am like a lizard and once I’m comfy in the sun with a drink and a book you’re not moving me for hours. Everyone else came and went throughout the day and as people around me left I swapped beds with two better placed for maximum sun absorption. Sam and I had our yearly argument with him trying to convince me that he doesn’t need to wear factor 30+ on his very fair skin and that he could use my factor 8 (for 3% Nigerian throwbacks) and be fine. Reluctantly he relented and spread a very thin layer of factor 30 over parts of himself and laid down with his headphones in for all of 20 minutes before getting bored and wandering off again. As a group we had decided to book a table in one of the speciality restaurants for that night (this is another package that we had to buy in order to save 10 Euros pp on each meal) and we had chosen Chops Grille as most people were in the mood for steak. This turned out to be a brilliant idea as the food and service were second to none. Our waitress with an unpronounceable name was so attentive, funny and friendly that she made our dining experience fabulous. She remembered all our drinks and as soon as a glass was only 1/4 full she produced another one. If we were running low on side orders she brought more. The food was also outstanding. Most of us had steak and everyone said it was cooked to perfection, exactly the way they had ordered. I had rack of lamb and again could not sing its praises high enough. A lovely night of food, drink and hilarity sent us off to bed very happy and VERY full. But, that is not the end of the Kendrick day 3 story. Oh no. By the time we got back to our room Sam had started to complain that the backs of his legs were sore and sheepishly admitted that he had ‘forgotten’ to put lotion on them. Stripping off his trousers he was mortified to see the backs of his legs burnt so pink they were reminiscent of the steak he had just consumed. “But I only laid out for 20 minutes” he kept repeating much to my frustration. Lots of cold flannels and fanning of bed sheets later he found some After Sun that he had brought with him that his mate Jordan had left behind in the room when they had been to Rome a few weeks earlier. So I rubbed a generous amount into the poor boy’s legs and a little bit on his back and chest and sent him to bed with paracetamol and a flea in his overcrowded ear about arguing with me every year about the same damn thing. Then next morning…. well you’ll just have to wait for that, but believe me its a good one. Waking up and looking out over a beautiful blue sea, nothing on the horizon except serene blue sky; rhythmic bobbing up and down with a warm gentle breeze softly brushing our faces… was absolutely nothing like what we actually woke up to! Grey, drizzly, choppy waters with a wind that was more than a little chilly whipping our hair nearly off our heads was what greeted us on Day 2. We had reached the Bay of Biscay, a notoriously tempestuous area of the ocean that takes about a day to pass through. Not having brought any warm clothing or even a jacket meant we were going to be staying inside today. I was lucky enough to have a massage booked so I had that to look forward. However, everyone else spent the day staggering from one place to the next trying not to fall flat on their faces, or find themselves propelled into shops where their bank balances would be severely depleted. Although a little unsteady on my feet I didn’t feel unwell at all but poor Sam was green and almost continually throwing up. Trevor, who had been working like a maniac for about 6 months was so tired he just kept falling asleep and when he was awake complained of feeling nauseous. We went to the Windjammer for breakfast, hoping that it would settle the boys’ tummies but spent about 20 minutes wandering round and round looking for a free table. This would be only one of many times we compared this cruise to our Caribbean one with this one fairing less than well. 99% of the passengers were British and in typical Brit fashion pushed and shoved everyone out of the way to make sure “we’re alright Jack”. I have no idea where this thing about the Brits queuing up nicely came from but I certainly didn’t see any orderly queues where the food was concerned. Once we were seated the food was delicious and plentiful and I was more than happy with my full belly. However the poor boys just felt worse and worse. At 12.30 I popped off to the spa for my Swedish massage with a tiny girl from the Philippines named Elsa. She called me Joooooooolie and kneaded and stroked all my cares away until I was powerless to resist the Elemis lotions and potions she told me I must buy just before I left. £90 lighter (that was just the creams) I went back to our cabin to find Trevor asleep and Sam with his green face in the toilet bowl. I whisked him off down to the spa where I had seen a notice saying that they did acupuncture for sea sickness. At this point my boy would have rubbed a frog over his face if it meant he would stop vomiting so we went and saw the lovely Dr who laid Sam down and poked him with needles for an hour. After this she stuck some tiny beads in his ears and rubbed them for a few minutes before leaving him to sleep for half an hour or so. A short while later he woke up and like magic was cured. Yes, I am serious. He was actually cured. No more sickness just a slightly unsettled feeling in his tummy which the Dr said would go in a coupe of hours. He was given instructions to press the beads in his ears if he felt sick and we left, with me nearly £300 down!! So no more sea sickness for Sam and the chefs were put on alert that the teenage boy had his appetite back!!! Not much happened for the rest of that day as we spent our time sleeping or wandering around the boat orientating ourselves. I had to take to my bed to try to recover from spending nearly £400 without getting off the boat or going into a shop; having said that, it was worth every penny to see Sam feeling better. Diane and I took our first selfie and once we had eaten our dinner went to bed early. Tomorrow we would be arriving in Gibraltar so sleep was needed to prepare for some walking and sightseeing fun. Most of you know that at the beginning of the year I spent time in hospital after collapsing with heart problems (more about this next time), and the cliche is that it makes you realise that you shouldn’t take things for granted etc etc. Yes that is true, it’s a cliche for a reason but I think for me it has been more than that. There was a period of time this year when I didn’t actually know if I would survive. I know that sounds dramatic but the doctors initially didn’t think I was taking it seriously enough and told Trevor to make me understand that this is a sudden death condition. It’s a very strange feeling to have your husband sit you down and tell you that you could die. But it did the trick and I became very aware of the severity of the issue. Anyway, since leaving hospital I have started to look at life in a pretty wonderful way. Ever since my mother became ill and spent the next 20 years plus feeling sorry for herself and saying ‘why me, why me?’, I was determined that if I ever became ill I would be the complete opposite. I had that chance this year and grabbed it with both hands. Instead of thinking, and saying, ‘why me?’ I have turned it round and said “why NOT me?” I’m no more special than anyone else. My life hasn’t been terrible. Yes I’ve had many difficult times but I got through them to where I am today. My overriding thought about what has happened to me this year is this; it is just my turn. All of us at some point has had a loved one who has been ill or who has had to face something terrible in their life. If we are good people (and all of you are), we try to help them as much as we can and be there for them and, if you are a person of faith, pray for them. So this year I found myself being on the receiving end of the help, support, love and prayers. And boy did it make a difference. I didn’t realise how many wonderful people I have in my life. My husband, who adores me, was my absolute rock. My 4 wonderful sons phoned, visited and generally made me laugh like they always do. Sam, ahhh Sam he was only 14 and obviously scared but he put on a brave face and supported his dad, growing up a little quicker than he should have had to. My remarkable friends, Diane, Glen, Kala, Jimi, Nicky and so many more showed how they care in their own ways by always being at the end of the phone or at the end of my bed. And my church family. What incredible people they are. They prayed for me and supplied Trevor with hugs and unending love and spiritual support. So, with all of this positivity around me how can I not be grateful? How can I not see the good in this situation. I look at the beautiful area in which I live and breathe in the clear fresh air and I am so happy to be alive. I see my dogs playing and being silly, making us all laugh and I am so glad that they are mine. I think about my 4 boys and feel my heart burst when I think of each one individually. I look at my house and possessions and remember the hard times Trevor and I have had and how far we have come. I think about my friends and smile, feeling blessed that each one of them is in my heart. I now have my own business and fully intend to make a success of it. I want to spend the rest of my life, however long that is, being surrounded by things that make me happy. Not because I want to be selfish or that I am thinking only about my own wants but because I NEVER want to stop being grateful. I never want to stop getting pleasure from watching butterflies land on flowers, from listening to my dogs snoring, from singing at the top of my voice to a song that touches me, from the smell of Christmas candles, from surrounding myself with beautifully soft balls of wool, from being kissed fully on the lips. Life is so magnificent and we truly don’t know how long we have ours for so I implore you not to forget the small things, the tiny things that can actually make your day when you focus on them and not the negativity that can obscure the clarity of a beautiful existence. Gratitude. It’s a powerful thing. I decided to wait until today to write this blog post for a very special reason. Today is my dad’s birthday. But not just any birthday. If he was still alive today would be his 100th birthday. He would have had his telegram from the Queen’s this morning (or does she text now?) and we would have celebrated in true dad style, but having a nice cup of tea. This is Roy. He was my dad. A painfully shy man that liked a flutter on the horses and nice roast dinner with his favourite veg, runner beans. There is so much I could tell you about this man but I’ll give you a few bullet point facts. He was the eldest of 3 and had 2 younger sisters. They all got on exceptionally well their whole lives. I never knew them to argue or fall out. My dad never drank or shouted and I only heard him swear a handful of times. He did however, smoke like a chimney. He was married before he met my mum and had a son and a daughter (neither of whom want to know me). He was in the RAF and took part in WW2, however he never ever set foot in a plane and never flew in his whole life. There was 25 years between him and my mum and when I was born he was 54. He was often mistaken as my grandfather. He was very affectionate and loved to brush my hair when I was little. My dad was a Christian and encouraged my faith but never forced me to go to church. He did take me to Sunday School but I never ever saw him inside a church. He was an absolute stickler for good English and spelling and instilled in me a love of language. On a Sunday afternoon when I was Primary School age he used to set me 10 spellings that I had to get right and those I didn’t I had to write 10 times each. This wasn’t a punishment more like practice of an art form. I never resented this and have passed this on to my boys too. I hope he would be proud. He was terrified of hospitals and throughout my life only had to go in once, in 1985 when he had heart failure. He was in a week and then on meds for the rest of his life but he was to all intents and purposes as fit as a butcher’s dog. I believe he knew he was going to die because in the week leading up to his death he wanted to spend a lot of time with my boys who were 3, 2 and 8 months at the time. He told me they were wonderful boys and would make me proud. He was right. I am sad he never got to meet Trevor or Sam. He would have loved them. My dad died very suddenly and unexpectedly on 10th May 1995 aged 78. He rang me up at midday saying he felt ill and I told him I would take him to the Doctor’s at 6pm. He had his lunch and fell asleep on the sofa, like he did every afternoon, and never woke up. Unbeknownst to him he had a massive stroke and a brain Hemorrhage. He never felt any pain and never had to suffer the indignity of being in hospital. His last words to me were “I love you Julie”. It’s been 22 years since we lost him and I really do think about him most days but today is definitely dedicated to him. Happy 100th Birthday Daddy. I love you. As we are fast approaching Father’s Day here in the UK I thought it would be appropriate to make D for Dads. Last year I posted a tribute to my own dad which you can read here if you wish so I won’t talk much about him in this post. Over the years dads have had a bad rap. When a relationship breaks down it is usually the man that leaves and the mother that brings up the kids. Now before you all leave comments saying that I am generalising etc please read on. Of course there are dads that leave and never see their kids, or become someone that pops in and out of their lives when it suits but that is by no means the norm now. I have heard of plenty of mothers doing the same. I have many male friends who are dads and this post is really a tribute to them. One of my friends has been separated from his wife for a few years now and he has willingly brought up his kids. He does everything for them and although he has a full time job he runs his house like clockwork. He spends quality time with them, has instilled good morals and values in them, he is silly with them and strict with them. These two kids are so well rounded and happy that they are a testament to him and he is a testament to dads everywhere. He proves that a single father is as good as a single mother. In fact in his case he may even be better because they are all happy and that is surely preferably to being in an unhappy marriage! I also have a friend who is a dad and and few years ago came out as being gay. As shocked as his family was, they accepted this. His son, however has been completely unaffected by this revelation. His dad is his dad and they love each other deeply. They are so close and spend as much time together as possible. My friend has a partner now and as often as they can all three go on holidays together. My friend has never felt he has to over-compensate for his sexuality. He is still the boy’s father and he disciplines him and gives him support and advice like any good parent would. Once again another example of a great dad. Of course I know plenty of dads that are still in a relationship with their children’s mother. I love it when I see hands on dads over the park, playing football, doing food shopping, watching ballet lessons and generally spending time with their offspring. It makes my heart go all fuzzy. I don’t know why this is but it may be because I like the fact that old generalisations and opinions of dads are wrong. My husband, Trevor is an amazing dad. What makes him so fabulous is not only the relationship that he has with our son, Sam but also the one he has built over the years with my other 3 sons. When we met I was already a mother to 3 little boys aged under 6. That must have been a daunting prospect for him to take on 3 children that young. But he did it without question and in the 15 years that we have been together the boys and he have cultivated great relationships. All 3 are very different boys and he has a unique bond with each one. I am very proud to say that over that time, even through teenage turmoils and hormones they have never said the dreaded words “You’re not my dad”. They respect him as their step-dad and one of my boys even told me that he felt lucky in that he had two dads. Happy Father’s Day you wonderful men. I imagine you are thinking that this blog post will be about my 4 boys and how wonderful they are and how much I love them etc etc…. WRONG! Don’t misunderstand me, all of the above is true but I am feeling the need to have a rant about other peoples kids. I have heard many times, people say “I really can’t stand other peoples kids”, well I have to say I sympathise with them. Generally I feel the same. Now obviously my friends have kids and they are lovely, for the most part (ha ha ha sorry friends) but there seem to be so many parents that have no idea how to bring up their offspring. Working in Waterstones brings me into contact with children and their parents on a daily basis and regardless of how they behave I have to be polite and helpful. But believe me some of these kids, and parents push my buttons. 1. Kids that don’t say “Thank You”. As obvious as this is it still really irks me. A child will come to the till and give me their book and the money and I have a little chat with them about what they have chosen and then when the transaction is complete I hand over the bag. I expect to be thanked for this but 95% of the time the kid takes the bag and walks off. What tends to make this worse is that the parent invariably says nothing to the child. They usually thank me themselves but I don’t want thanks from them. They have send their child up to buy the book and they look on proudly as Johnny/Jenny gives the money over and takes their purchase but they haven’t taught them how to complete the process with a polite ‘Thank you’. Much to my colleagues amusement I have taken to holding on to the bag whilst the child tries to wrestle it from my grasp as I wait for the thanks I am due. Some kids, cotton on and say it but others just looks dumbly at the parents who look dumbly back at me until I give up and let them have the damn bag. 2. Kids that say “I want”. This one again falls into the category of manners. It’s not just the words ‘I want’ that bother me so much as the demanding nature in which they are expressed. “I want that Gruffalo”, “I want 2 books” and the worst, “I want more money”. Whenever I hear these words I look at the parents and hope that they will firmly but quietly tell their child that these demands will not be tolerated and that “May I have” is a much better way of expressing ones wishes. Yeah, that almost never happens. What does happen is one of two things. Either the parent gives in and the child is presented with said Gruffalo, books, money or the child is completely ignored by the parent and continues to repeat “I want….. I want….” ad infinitum. It takes all of my will not to march up to the child and give them a lesson in manners that hopefully the parent will learn from too. 3. Screaming toddlers. Now I know that toddlers can be a nightmare. I know that they have no sense of spacial awareness. I know that they have no social skills. I can accept all of these things with a sigh and a smile. What I cannot bear, though, are toddlers that just screech for apparently no reason. Kids between the ages of 18 months and 3 years tend to have the highest pitched voices and can scream louder than Janet Lee in Psycho. Why, why, why do they do this? What do they hope to achieve by bursting the ear drums of everyone within a half mile radius? I have taken to glaring at the child to try and encourage them to shut up; and I have a very scary glare. If that doesn’t work then I glare at the parents. But then I realise that these are probably the parents who will end up giving in to the child in a few years once it starts in with the “I want…..” routine. 4. Destructive brats. I don’t know about you, but I taught my children not to touch when they went into shops. Our children’s section is bright and colourful and of course invites kids from 0-17 to explore so I don’t expect the no touching rule to apply here. I do, however, expect the no mindless destruction rule to apply. We have a spinner for Mr Men books so that they can all be easily seen. I have lost count of the times that a destructive brat has spun the display so fast the books fly off. Not the worst of crimes, I grant you, but once again the parent from hell steps in to make the situation just peachy. They pull the child away leaving the books all over the floor, sometimes even treading on them as they leave. (Excuse me while I hyperventilate a little). I have even heard parents say “Don’t worry about putting them back, the lady will do it for you.” What the hell??? I did not clear up after my own kids when they were deliberately messy, I made them do it. I am certainly not going to do it for some spoilt brat who thinks it’s OK to tread on books. My colleague, Della, who runs the kids section has her work cut out for her every day. She spends most of her time putting books back where they belong and straightening bent pages. Don’t even get me started on the problems we have during half term. 5. Nose pickers. Bogies are disgusting I think we are all agreed. Kids pick their noses, we are still agreed. But please please please tell me why they feel the need to wipe them on something that is not a tissue. I’ve seen bogies being wiped on our display tables, chairs and even on a book that the kids was holding at the time. It was this particular child’s parent I told that she was wiping her nose products on our merchandise. The mother smiled and said “Yes, she does it all the time.” Unbelievable. The only saving grace was that she bought the book. Urgh! 6. Smelly teenagers. It’s not just small kids that drive me insane, teenagers that don’t wash test my patience too. Teenagers are bags of hormones and sweating is a prerequisite to growing up but it is the parents job to inform their young adult that they need to pay attention to their personal hygiene. There now, that wasn’t difficult was it? Apparently that doesn’t generally happen in these kids’ households. The other thing about teenagers is that they tend to hang around in large groups. This at least triples the smell and I am surprised that there is not a grey cloud above their heads like there was over Pig Pen in the Peanuts comics. When these youngsters wander in to the shop I want to formally introduce them to a bar of soap or a roll on deodorant at the very least but instead, when they leave, I spray the shop with polish to restore the lovely book shop smell. I have found compiling this list quite therapeutic. I am sure you all think I’m a grumpy old cow now and yes, at times I am but is it so wrong to expect children to behave when they are in public? And when they don’t is it too much to expect the parents to deal with them effectively? I, of course invite your comments below but please don’t pick your nose when you type them. 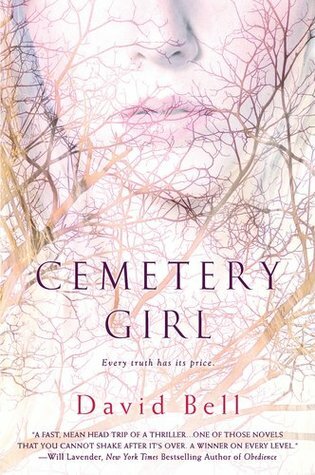 I have just finished reading The Cemetery Girl by David Bell and while it is fresh in my mind thought I’d write a quick review of it. Briefly the story is about a 12 year old girl who goes missing, believed kidnapped and how the family cope with that over the four years that she is gone and then how they cope when she finally returns, not saying anything about where she has been. When I read the synopsis I thought that sounded like a promising story, and indeed it was. For the first half of the book. Bell tells the story from the father’s point of view in the first person and initially manages to capture his bewilderment and the constant questioning of himself that we would all do if, God forbid, this happened to any of us. However, once Caitlin, the daughter, returns the pace slows down so much that I found myself willing the characters into conflict. There was quite a bit of pointless dialogue where nothing further was gained and conversations were also repeated, albeit in a slightly different way. 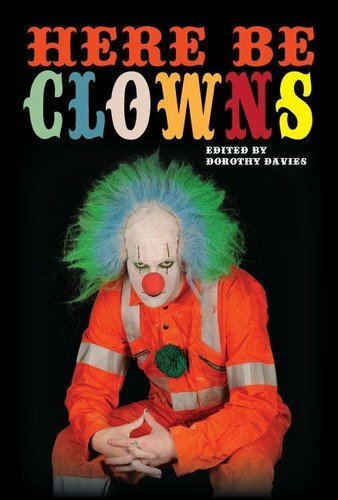 My main problem with this book however was the development, or lack thereof, of the relationships throughout the book. The whole novel is based around Tom’s relationship with his family and those who try to help during the transition from Caitlin’s disappearance to her subsequent return and integration back into the family. It is obvious that he doesn’t agree with his wife or her way of coping but that is never fully explored. Abby, the wife, displays some fairly odd behaviour but we never really find out why. Tom’s relationship with his brother, Buster also leaves a lot to be desired descriptively speaking. Tom accuses him of being the kidnapper on more than one occasion and even asks if he slept with Caitlin. Buster, however doesn’t appear to react to these accusations in any way that I believe a reasonable person would. He still comes round to chat to Caitlin, and Tom and Abby seem quite happy for this to happen. Then in the next chapter Tom and Buster, are together again discussing possible scenarios for what may have happened, before Tom accuses him again of some nefarious act. Lastly, although I am trying not to give any plot spoilers, we never actually find out completely what happened to Caitlin, or why she behaves the way she does. It was as if Bell got bored of the story and decided to leave us in suspense. The majority of the text was leading up to getting Caitlin to talk and building the tension but the climax never materialised and left me very disappointed as a reader. What started out as a great story with a very promising plot, fell flat and did not deliver what Bell set out to do, give us a great story about relationships under extreme circumstances. Maybe this was because the characters themselves were underdeveloped. I don’t know but I won’t be in any hurry to buy his next book.